Startup accelerators have a significant positive impact on early stage startups helping guide them to a successful launch. During the past few years, the number of new accelerators has increased. This growth has been fueled not only by startups looking to leverage expert guidance but also by eager angel investors and new venture fund managers seeking access to potentially lucrative (but risky) investment options. Both accelerators and incubators help young firms grow by providing guidance, but in different ways. Business incubators typically engage startup companies as tenants in their workspace for varying lengths of time. They are often associated with universities and provide startups with easy access to services such as accounting and legal. Because of their construct, incubators are known to be inefficient, typically spending their modest funds on infrastructure expenses rather than to directly impact the growth of the startups. In these structures, they also lack expedience as startups have a tendency of remaining for a long time to sort out their businesses. While they may exhibit some sign of success, it seems that often these incubators end up carrying the dead weight of under-performing companies that can only survive within the incubator. And improvement does not appear to be imminent. Startup accelerators, on the other hand, take a selected group of startups (a “cohort”) through a structured program over a specific period, usually 3-6 months. Accelerators make a small seed investment in their startups in exchange for a small amount of equity. This initial investment is frequently sufficient to cause founders to dedicate all their time to their startups. Once engaged by the accelerator, the startups are given access to a large mentor network composed of entrepreneurs, alumni, and outside investors. The contacts and introductions may be the accelerator’s biggest value for prospective startups. During the accelerator program, the startups go through intensive mentorship and may participate in periodic educational seminars. The goal of the accelerator is rapid growth, to sort out all organizational, operational, and strategic difficulties that might be facing their business and ultimately to get the companies funded with seed financing. The program normally culminates in a public or semi-private pitch event, “Demo Day”, during which the startups present their business plans to candidate investors. What’s the expected impact of an accelerator on the trajectory of various startups? Consider three example startups listed with Companies A, B and C in the top accompanying chart. The startup indicated by Company A shows the initial progress that ultimately doesn’t succeed for whatever reason, ending in failure. On the other hand, the startup indicated by Company B also shows initial progress but stagnates over time. Their rate of progress slows nearly to zero, presumably less success than what could be realized doing something else. Of course, an accelerator isn’t always required for success, and Company C indicates the trajectory of the successful startup. Now consider the effect of a well-designed accelerator with a period of involvement shown in the lower chart as the yellow-shaded region. The trajectory for each of the three sample companies improves. Company A shows that the company that could not previously succeed still fails. In this example, the accelerator identified failure sooner. Understanding the cause of the failure, by significantly revising their idea, this company was able to pivot and realize a path to success. Similarly, Company B shows a company on a path to stagnation, yet pivots to a new idea and a path to success. Even the trajectory for Company C results in a steeper success trajectory. In these cases, for the defined accelerator period, hands-on mentoring, and an uncompromising ecosystem, hard decisions could be made sooner rather than later positively impacting the trajectories of each company. With acceleration, companies don’t waste time and money with a business plan that doesn’t work. In failing sooner, they learn a lot about how to be a successful company. Startup accelerators aren’t new. Y Combinator from Silicon Valley is known to be the first successful accelerator program launched almost a decade ago. The program spawned many similar programs around the country that had varying degrees of success. Shortly thereafter, Techstars (Boulder, CO) launched a similar program. While Y Combinator chose not to pursue replicating its early successes and scaled back its programs in 2012, Techstars duplicated its program in regions that were rich with startups. Today, they have expanded to over 18 locations in the U.S. and Europe, including nine city programs including Austin, Berlin, Boston, Chicago, London, New York City and Seattle. Today, Techstars is likely the world’s largest accelerator organization. 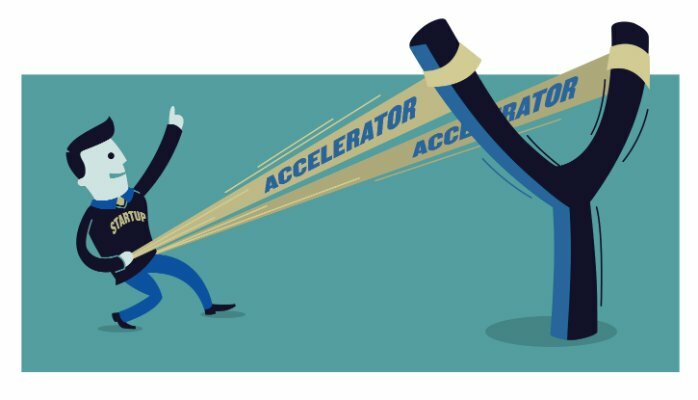 While hundreds of accelerators exist, the trend bringing more of these types may be slowing (“The Startup Accelerator Trend is Finally Slowing Down”, TechCrunch 11/2013). In some areas, new accelerators operate for 1-3 years and then disappear while the few top legacy accelerators continue to dominate. These early accelerators have benefited from the cumulative effect of several successful programs that cause the investor pool to steadily increase and the network of mentors, alumni and educators to deepen. Many of these early accelerators remain strong even today, viewing a diversity of startups in a variety of areas. In light of this growing strength, new accelerators often struggle to attract the best startups and may often attract less mature companies into their cohorts. In an environment where only one-quarter of a cohort’s startups finds follow-on investors, this can have a devastating impact on success for those new accelerators. Over the past few years, new “focused” accelerators have appeared that target specific types of startup and deliver a more rewarding experience. In general, there are three distinct types of accelerators. One type aligns themselves with startups targeting specific markets (“vertical accelerators”). A second type aligns themselves with startups targeting specific technologies/product-types (“horizontal accelerators”). A third type is operated directly or indirectly by specific companies (“corporate accelerators”). Of course, accelerators aren’t necessarily exclusively one type and may have different focus characteristics. When these focused accelerators develop a strong program around their theme, build a strong, aligned mentor network, and solidify rewarding relationships with active investors, both the accelerator and the cohorts benefit. In large metropolitan areas, many new vertically-themed accelerators have appeared. The “vertical” theme refers to a specific industry niche where a diversity of companies markets products and services to the same group. For accelerators, the vertical theme is chosen to leverage the unique strengths of the regional investor community in that specific vertical market and to build a mentor network around it. Metropolitan areas are often thick with commerce, finance, media, culture, art, fashion, research, education, and entertainment. As such, there are plenty of large and diverse groups actively involved in managing and supporting companies in those large vertical markets. Also, there are lots of investors with a diversity of funds indexed for those markets. For new accelerators, the vertical themes are so fundamentally embedded in the community that excellent resources are available on which to fund classes of cohorts and to grow their mentor and investor networks. Of the vertically themed accelerators, the most common themes include financial technology (FinTech), health and education technology (EdTech), energy, media, real estate and fashion. Accelerators also exist in diverse vertical markets including hospitality, non-profit, film, and food. It remains to be seen how these will survive over time and if they will pivot with market evolution. Also popular are horizontal accelerators. The “horizontal” theme refers to accelerators focused on startups that intend to develop a product or service that meets a specific need for customers across different market niches. 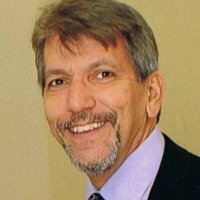 Similar to vertical accelerators, the horizontal theme is chosen to leverage the unique strengths of the regional investor community that have an interest in that specific type of product and to build a mentor network around that. Of the horizontally-themed accelerators, many themes exist including Internet of Things (IoT), Cloud, Hardware, Software as a Service (SaaS), Mobile technology, Internet and Enterprise products. Work-Bench is a horizontal accelerator located in NYC with enterprise software as its area of focus. Outside the US, Cisco, Intel, and Deutsche Telekom have partnered to create Challenge-Up! a horizontal accelerator to help IoT/IoE startups go-to-market faster. Some corporations have also sponsored startup accelerators with many of the same design elements as vertical and horizontal accelerators. These so-called corporate accelerators either target specific industries (vertical markets) or technology areas (horizontal markets) of specific interest to those companies. Techstars launched nine vertical programs in various locations partnering with Fortune 500 companies to run corporate accelerator programs. For example, the “Techstars powered” Disney Accelerator is aligned with Disney’s philosophy to help technology innovators “turn their dreams for new media and entertainment experiences into reality”. Similarly, the “Techstars powered” R/GA Acceleratorlocated in NYC leverages R/GA’s expertise around innovation, technology and design and targets startups that concentrate on hardware and IoT. Media camp is an accelerator initiative by Turner/Warner Bros. focused on technology that’s relevant to the media and entertainment industry. Focusing on the mobile market, Samsung Accelerators have been launched in two US cities, one in San Francisco and the other in New York. These accelerators are intended to tap into local talent and startup to innovate in software and services, areas where Samsung sees tough competition from the mobile market and competitors. Also in the mobile market, Techstars powers a Sprint Mobile Accelerator located near their Missouri headquarters. This accelerator guides startups focused on certain mobile products including wearables, mobile applications, and enterprise solutions, as well as the verticals education, gaming, entertainment, health, security and government. Once the vertical theme is defined, the accelerator team develops its ecosystem based on that theme. The ecosystem describes all the components of the accelerator into which the startups are immersed, including mentors, alumni, investors, the accelerator’s team as well as its sponsors. Train the startup’s founders with entrepreneurial best practices by sharing the perspective and experience of mentors and alumni. Help the founders thoroughly evaluate their business strategy and identify any pivots that may be beneficial to their success, refining their pitch to reflect this strategy. Provide exposure to meet members of the investment community including angel investors and VCs. The program’s success comes from the alignment of the accelerator’s objectives to support the theme with all the aspects of the program. The best programs align all parties with strong team leadership and excellent management of startups and associates. The team wants to assure that mentors have a stake in the success of the startups they advise and provide others with the proper vision and incentives to help. Over time, the program improves as the accelerator team iterates the program and ecosystem. Improvements result from a culling of the network of mentors and alumni, engaging visionary educators from local university entrepreneur programs, getting the support of real sponsors and, of course, selecting the most appropriate investors. The selection of startups is another important factor in optimizing the success. Which startups participate in each cohort is critical to assure synergy amongst startups. Proper selection assures alignment of the startups with the theme for the accelerator and the ecosystem that supports it. Also, startup founders invest significant amounts of their time as well as opportunity cost. They certainly want to get the most from their experience and are well-served by thoroughly researching the program, its management team, the mentor network and the types of investors to expect they will meet. Are certain types of startup companies better located at one accelerator location versus another? Certainly for vertical accelerators, the selection of startups is obvious. But even for legacy startups, there is some impact in the selection due to the location of the accelerator. After all, one would expect that a startup that seeks to leverage open space and environmental markets would have a higher probability of a successful experience in an accelerator located outside a large metropolitan area. Perhaps a startup offering a clever seafood delivery service be more successful in a New England accelerator. While these may be clichés, the point is clear: different regions offer different characteristics. Clearly, startup companies not aligned with their requested location should seek an ecosystem located in a different location that better optimizes their growth. It’s important for startups to select an accelerator that engages the most appropriate mentors for their startup’s profile. Also, accelerators can maximize their success by assuring that their startups receive excellent advice from the mentors and alumni as well as the other startups in the cohort. In selecting the best accelerator, startups need to review mentor profiles carefully to confirm alignment between their needs and the skills and experience available. For example, startup founders may want to review each mentor’s knowledge of funding, marketing, design, accounting, and intellectual property. There are different classifications for participants in a mentor network. Creating a list like the one below may help to identify them. Serial Entrepreneur – Those that have founded at least two companies, one for at least five years. Entrepreneur –Founders of a startup company. Startup Participant – Those that have been primary contributors to the growth of a startup (but not a founder). Professionals – Those employees that have a significant role in a company that gives them insights into markets, opportunities, and gaps. Investor – Someone that is primarily an angel investor, or a member of a venture capital firm. Startups need to make sure that the mentor profiles (categorized in a suitable way to highlight necessary skills and background) are the best available source for advice for their startup. Startups have new and improving opportunities to benefit from participating in startup accelerators. Many new “focused” accelerators are well aligned with certain specific themes. The themes may be ideal for certain types of startups intending to target specific markets (“vertical accelerators”) or specific technologies/product-types (“horizontal accelerators”). Alternatively, “corporate accelerators” operated by specific companies may also be a viable alternative. The focused accelerators leverage prevalent regional market interests including the source for funding the accelerator, the mentor network that supports it and the target investor community to create a perfect ecosystem for specific startups. By synergizing investors and mentors with their program, the focused accelerators can create an ideal ecosystem for startups aligned with their theme.